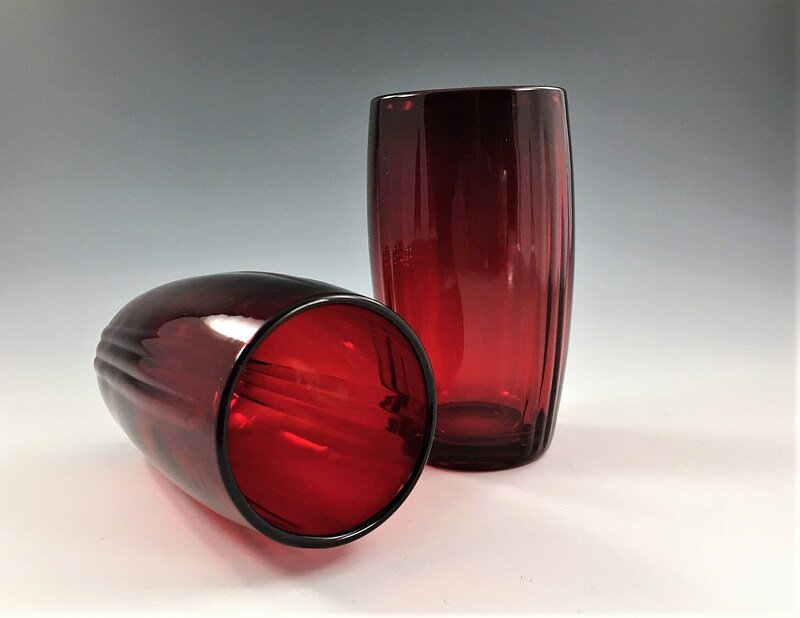 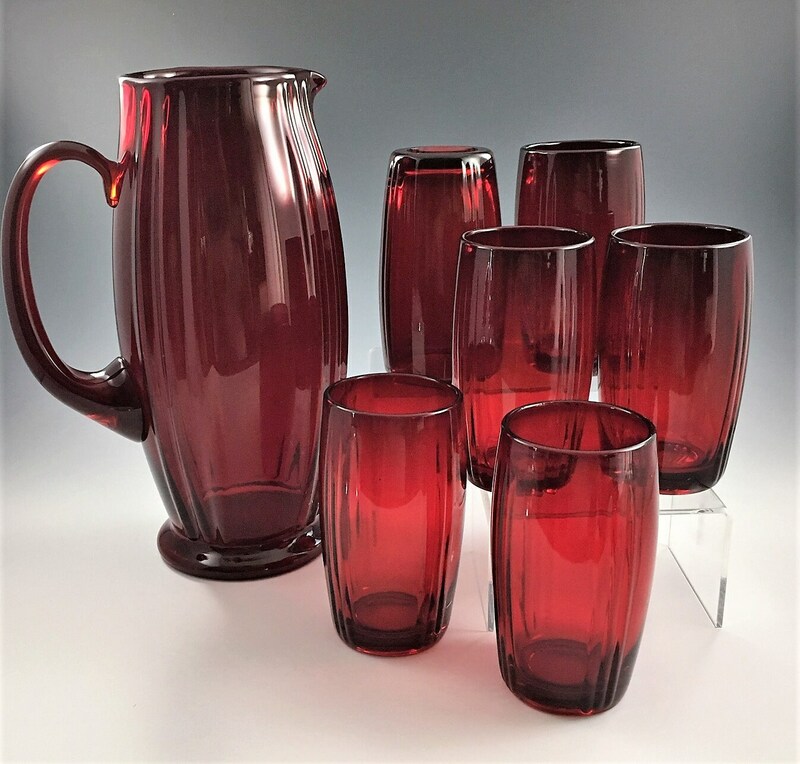 Featured is a stunning and hard-to-find water set from New Martinsville Glass. 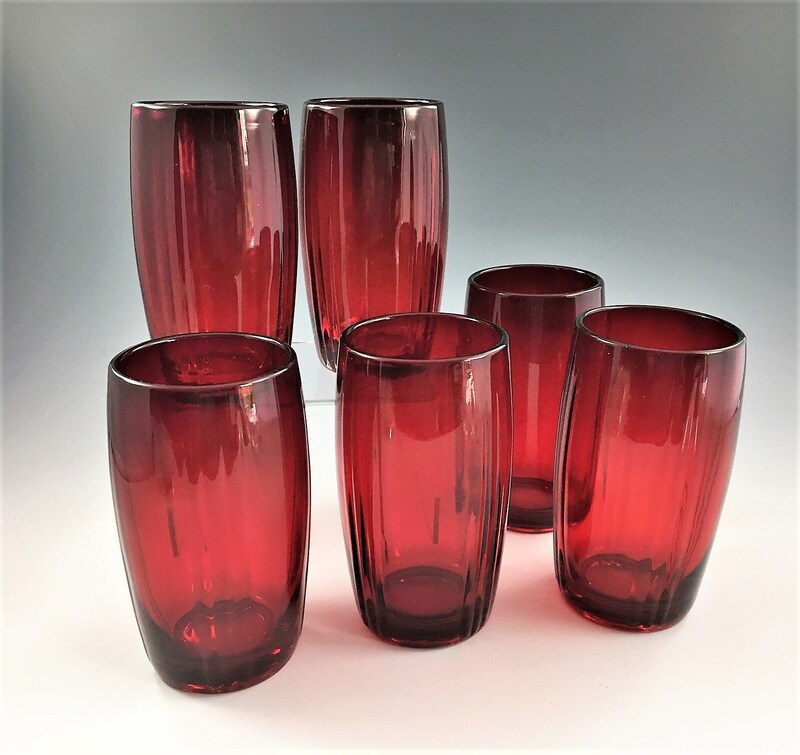 This set of 7 pieces is from the very desirable Oscar-Ruby line. 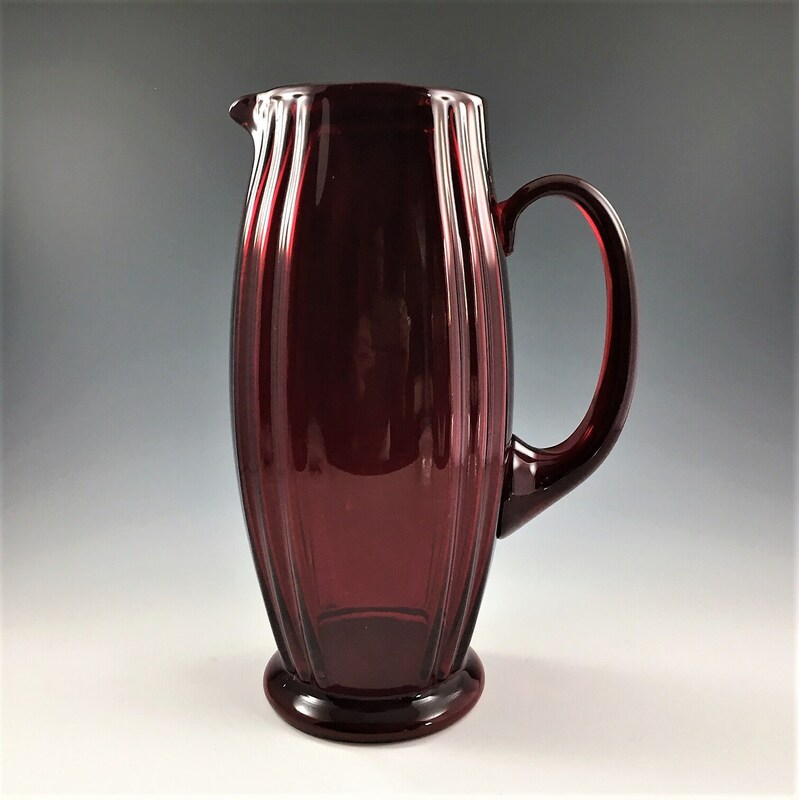 The pitcher is about 10 inches tall and the 6 tumblers are about 4 3/4 inches tall. 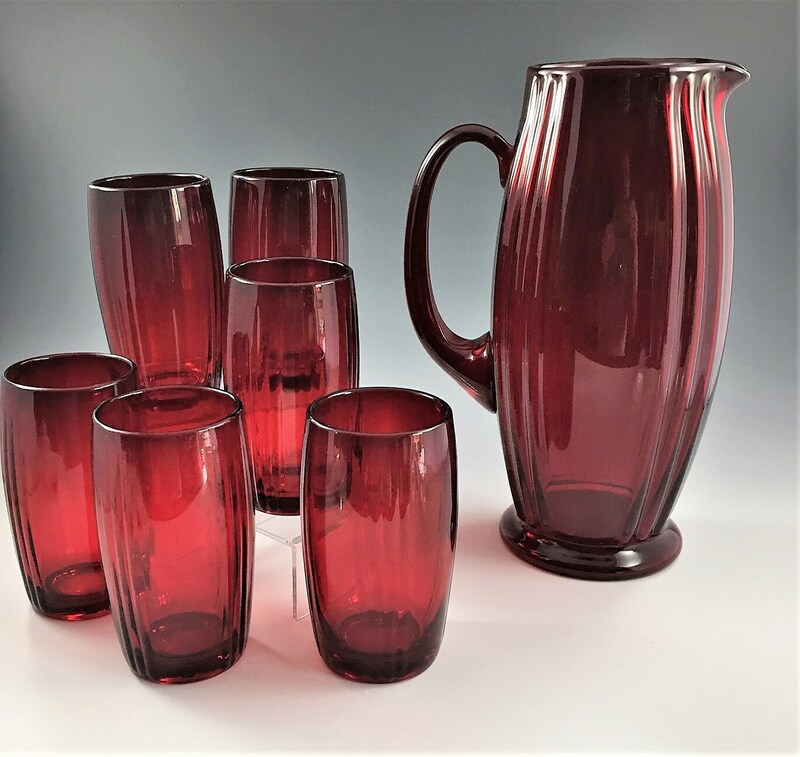 All 7 pieces are in excellent condition, free from any chips or cracks.